After having finished his study Art History in Utrecht (1983) Jim has worked as an auctioneer and valuer at The Venduehuis der Notarissen, The Hague, Phillips Auctioneers and as a Director at Sotheby’s Amsterdam. In 1989 he passed the exam as ‘auctioneer and valuer of art and antiques’ of the Dutch Society of Auctioneers and Valuers. Furthermore he has taken positions at Aon Artscope Fine Art Insurance Brokers and Apresa Valuations (of art and antiques); next to his jobs he has been an active board member of the Bredius Museum in The Hague for 20 years, at his preignation he became an honorary board member. In 2005 Jim started his own consultancy as Fine Art Consultant. Apart from doing valuations of art and antiques for insurance and other purposes as a registerd valuer VRT, he is active as lecturer to Nyenrode New Business School in Amsterdam,and is guest lecturer at the Radboud University Nijmegen. He is also frequently asked as guest speaker for banks and insurance companies. Finally he uses his art historical skills as researcher and author. Since 1983 Jim has written over 150 papers for (art) magazines and published several books. Jim is preparing a Ph.D. thesis on ‘Harmanus Serin (1677-1756) and the Portrait Painting in The Hague in the first half of the 18th Century.” Currently he is also board member of the VRT (foundation of Registered Valuers) and vice-chairman of the Geschiedkundige Vereniging Oranje-Nassau. 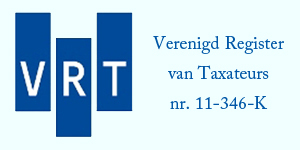 Jim van der Meer Mohr is a registered appraiser in the Register of the VRT.